WRIGHT-PATTERSON AIR FORCE BASE — The National Museum of the United States Air Force will commemorate Veterans Day by offering visitors a special opportunity to interact with more than 30 veterans who will be stationed at aircraft throughout the museum as part of the “Plane Talks” program 10:30 a.m. to 3:30 p.m. Saturday, Nov. 10. 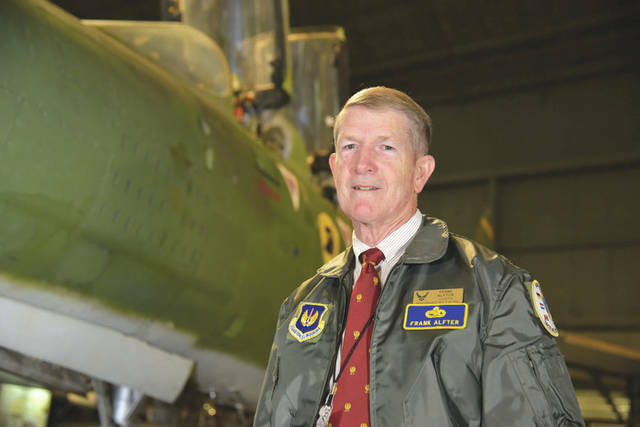 Included among the veterans scheduled to be on-hand are a retired crew chief and flight nurse, as well as navigators, pilots and engineers who have flown on aircraft such as the AC-130, B-1, B-25, B-52, B-58, C-47, C-123, C-124, C-130, C-141, EC-121D; F-4, F-22, F-89, F-101, F-105, F-106A, H-43, KC-97, RF-101, SR-71, T-39, UH-1P and VC-137C (Air Force One). In addition, a former museum curator will speak about the B-17 Flying Fortress exhibit, a retired Army paratrooper will offer insight into the B-29, a Navy electrician mate will discuss his experience with the P-61, and a former Missileer will discuss the capabilities of the museum’s collections of missiles.